RSE (NZ) Ltd was formed in 2004 and we are a proud market leader that specialise in providing entertainment systems for the RV Motorhome/Caravan and Marine markets. RSE is owned by Daryl and Sue Muir. Daryl is an Automotive Electrical Engineer (Advanced Certified) and Sue has a background in business administration and customer service. RSE stands for Rear Seat Entertainment, Daryl & Sue started the business from their garage at home selling portable TV/DVD systems to keep the kids quiet in the back seat. 14 years later RSE and its 18 staff members operate from a 1500 square metre premise in Takanini. RSE produces its own range of lightweight, low wattage, D-LED, 12V TVs. 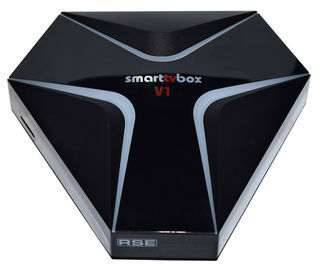 These have built in DVB-S2 (high definition Satellite) DVB-T (Terrestrial) and with both Freeview and Sky capabilities. These can be used with our range of satellite antenna systems for the motorhome/caravan and marine leisure markets. We are NZ's Exclusive Distributors and Service Agents for the German designed and manufactured ten Haaft products. These include SamY, SamYSolar+, Cosmo, Oyster, SunMover and SAT-DOM 50 NZ for the marine leisure market. 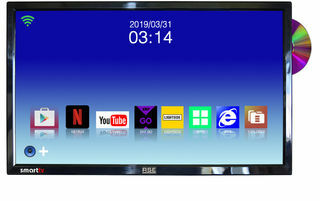 We supply a range of products from 12V Satellite Receivers through to our 32" TV with full "on board" entertainment hub. We have a range of Reversing Monitors and Cameras including our Dual Camera with Heater system, fish eye cameras and also our unique caravan to tow vehicle camera connection system. RSE is proud to supply its products to many well-known and respected caravan and motorhome manufacturers and distributors throughout New Zealand. Our excellent service and strong technical support gives these companies the confidence to recommend and install our products for their customers. Auckland Motorhomes are Distributors for Auto-Trail, McLouis, and Sunliner motorhomes as well as the Australian high quality NewAge caravans. RSE supplies and installs Satellite Dishes, TVs and other accessories into the Auckland Motorhomes range of vehicles. RSE also supplies the Burstner range of Motorhomes from Germany to Smart Motorhomes. Along with RSE 12V TVs they install either the SamY and SamY Solar+ Automatic dishes to their motorhomes. Wilderness Motorhomes are installing RSE 12V TVs, Terrestrial antennas and Puck Broadband antennas to their rental fleet. Coastal Motorhomes use RSE 12V TVs and Satellite systems for their manufactured vehicles as standard fit out. Explorer Motorhomes use RSE 12V TVs and Satellite systems for their manufactured vehicles as standard fit out. Auckland Coach & Motorhomes are installing the Finscan touch screen operating system in all of their manufactured vehicles. TrailLite Motorhomes are installing the Finscan touch screen operating system in all of their manufactured vehicles. RSE TVs and Satellite Systems are often used as an “upgrade” for many standard fit outs for other Motorhome/Caravan Suppliers. RSE is known to be a premium product in the NZ market, not only with our ground breaking technology, but also with our after sales service. RSE is a proud sponsor and supporter of the NZMCA. Daryl's background as an automotive electrical engineer, with 44 years’ experience, also gives us the ability to offer experienced and friendly advice along with a full installation service in your motorhome/caravan or marine application. Please feel free to call us to discuss your requirements. We provide 0800 support for all of our products.